The next time you’re out and about, take a quick look around. How many people have their heads facing down, eyes glued to a screen? It’s no secret that social media has, essentially, taken over our lives. The latest data has us spending five years and four months on social media over the course of a lifetime. 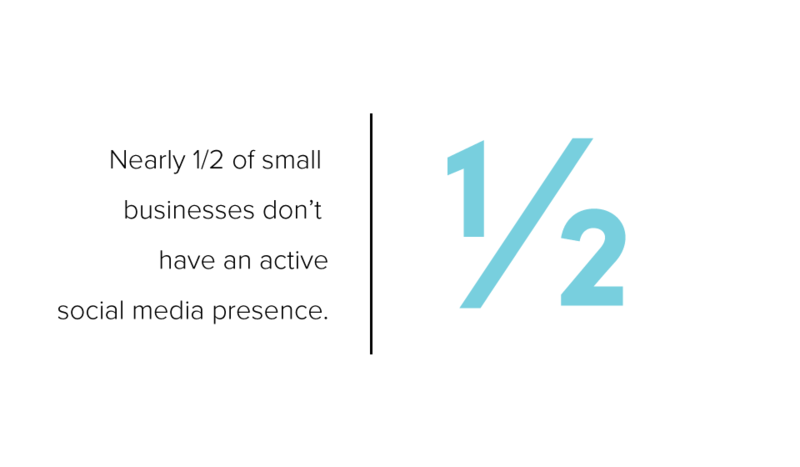 Still, nearly half of small businesses don’t have an active social media presence, and 25 percent of them say they have no plans to change that fact. In 2017, there is no excuse for missing out on all the advantages of having a small business social media strategy. Let’s take a look at some of the benefits you can enjoy when you decide to bring social media marketing into the mix. One of the biggest benefits of social media marketing is a bump in search rankings. 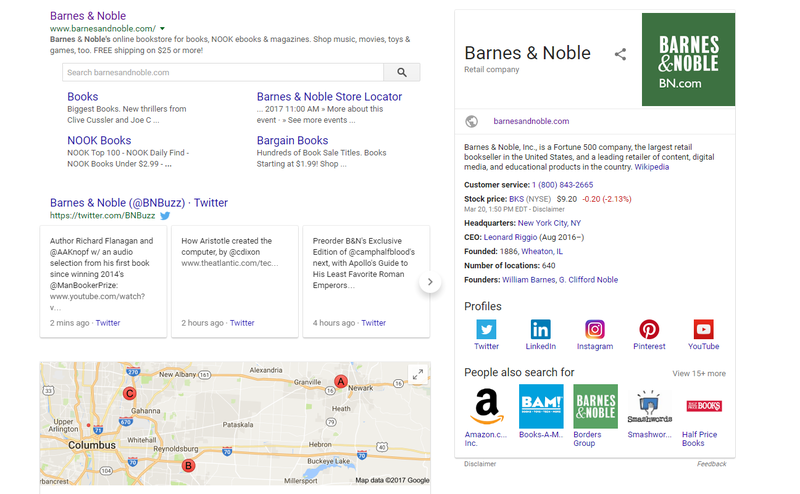 Did you know Google looks at your social media presence when determining where your business will rank on the search results page? Well, they do, and social media is becoming an increasingly important factor when it comes to SEO rankings. First of all, social media profiles are usually pretty high in the list of search results. Let’s use Starbucks as an example. The first result is their website. The next two listings (if you don't see local listings) are for their Twitter and Facebook profiles. The first result is their website, and the second is their Twitter profile. Even better, the knowledge panel at the right displays the business's Twitter, LinkedIn, Instagram and more! Wondering what aspects of social media Google factors into your search ranking? Another way an active social presence improves your search ranking is by increasing the number of inbound links to your website. Backlinks are hugely important to both organic and local search rankings. Check out our introductory link building blog post to learn more. Along with giving you an SEO boost, social media marketing provides an easy way to drive traffic to your website. It’s basically impossible to get all of your visitors from search engines alone, and social media opens up a whole other source for inbound traffic. All of the major social networks offer you a space to promote your website. That alone can drive people to your website if they come across your profile and want to learn a little more about you. And, every time you share a blog post or promote a service, you’re sending a link to your website out into the world! There’s a reason it’s called social media marketing. In The State of Social Selling report, Sales for Life reported that nearly 75 percent of businesses who engaged in social selling saw an increase in sales over a 12-month period. You should look at every social media post as an opportunity for a customer to convert. Pique their interest with a post about your latest blog article, and now they’re on your website. Keep them engaged, and now they’re checking out the rest of your site. And we know the longer they stay, the more likely they are to convert. Studies have also shown that social media has a 100 percent higher lead-to-close rate than other outbound marketing efforts. Not every single post is going to result in a conversion, but you’re certainly increasing your odds! Social media is the perfect place to go if you want to learn more about your customers. Knowing your audience is crucial to the success of your business. Social media can teach you all kinds of things about your followers — basic demographics, what’s happening in their lives, issues that are important to them or even something as simple as their favorite film. The more you know about who your customers are, the better you’ll be able to cater to their needs. Social media has the power to get your name in front of a huge audience quickly and easily. Having a presence on social media makes it much easier for both potential and current customers to find you. 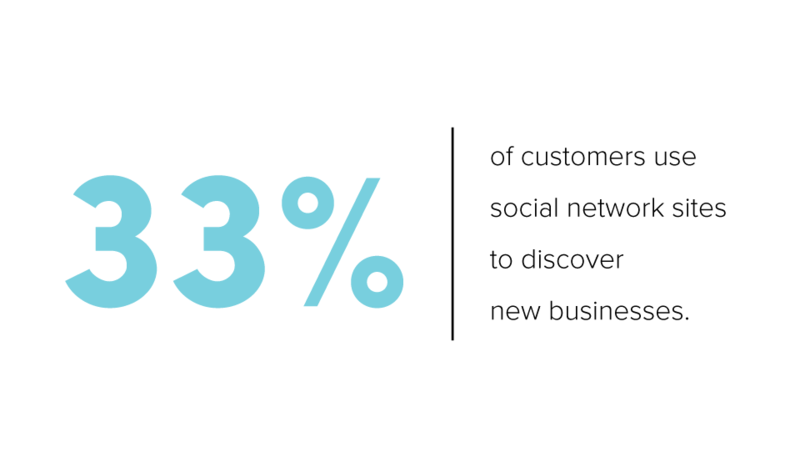 In fact, research from eMarketer showed that 33 percent of customers use social network sites to discover new businesses. Once they’re following you, you’ll enjoy increased brand retention, too! Your updates will pop up in your followers’ feeds, keeping your name at the top of their mind. And, the more they see you, the more likely they’ll be to think of you the next time they need a product or service similar to yours. Building relationships (and customer loyalty) on social media can also be great for sales. More than 51 percent of marketers said that taking the time to build those relationships resulted in better sales. 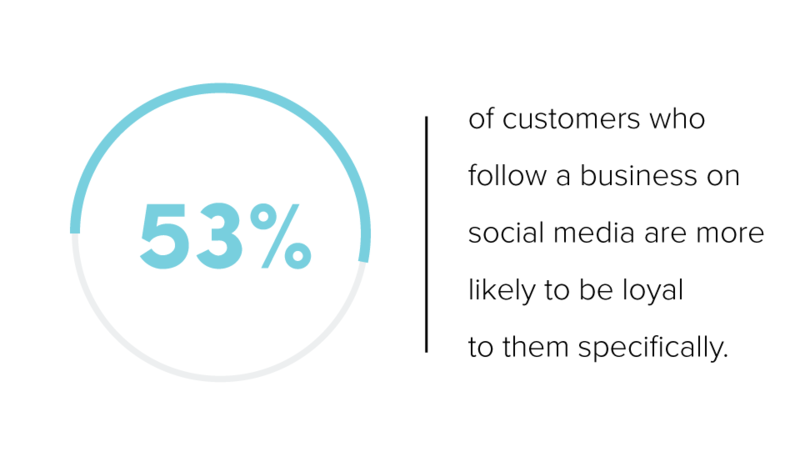 A study from The Social Habit found that 53 percent of customers who follow a business on social are more likely to be loyal to them specifically. That’s pretty powerful. OK, that was a lot of information. Let’s sum it up. 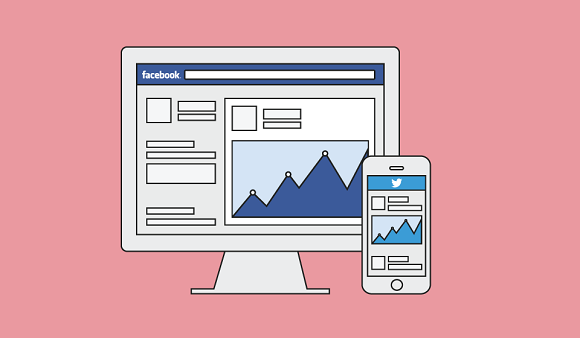 TL;DR: Social media can promote your brand, boost your search ranking, increase sales, and keep customers coming back. These are all great things. But if you’re really feeling uncertain or just don’t have the time to dedicate to really building a social media strategy, we can always give you a hand. We have a great team that will create and distribute high-quality original content for the most popular social media channels. Head over to the Social Content page to learn more about how we can make your business look like a social media pro.